Tilapia in the future... As the wild fish populations in our oceans are facing problems with over fishing, more and more consumers are looking for alternatives to endangered species like cod. Tilapia could play an important role here, since it can be farmed instead of caught from the wild. Several projects have also been launched where destitute families around the world are encouraged to farm tilapias in their own backyard to feed themselves and possibly sell surplus fish at local markets. In Latin America, larger commercial farms exporting fresh tilapia to the U.S. market have provided job opportunities for the local population. Tilapia farms exporting frozen tilapia are also an important source of income for many countries in South East Asia. Tilapia farms can be a way for tropical countries to take advantage of their warm climate, since tilapia can be grown year round as long as the water temperature is high enough. Preheat the oven to 350 degrees. Spray a shallow baking dish with nonstick spray. Place the tilapia in a baking dish and drizzle olive oil over top of fish, then sprinkle evenly with creole seasoning. Bake 12 to 15 minutes. Let the fish rest for 3 to 5 minutes. Add fish to tortillas and garnish with any of the garnishes. Enjoy! Great recipe! Tilapia is a great mild flavored fish...even people who don't like fish like Tilapia. This look slike a good fish ta co - I've been trying to work up my own version for a while. These look delicious. Great recipe! Great recipe. I love tilapia, you can even turn it into fish fingers without any complaints. Glad that you touched on the topic of sustainable fish farming. What a lovely tasty and easy meal. A great way to incorporate more fish in our diet. I am VERY excited and honored to be awarded. I am so happy to think that someone thought my blog was worth enough to award me. 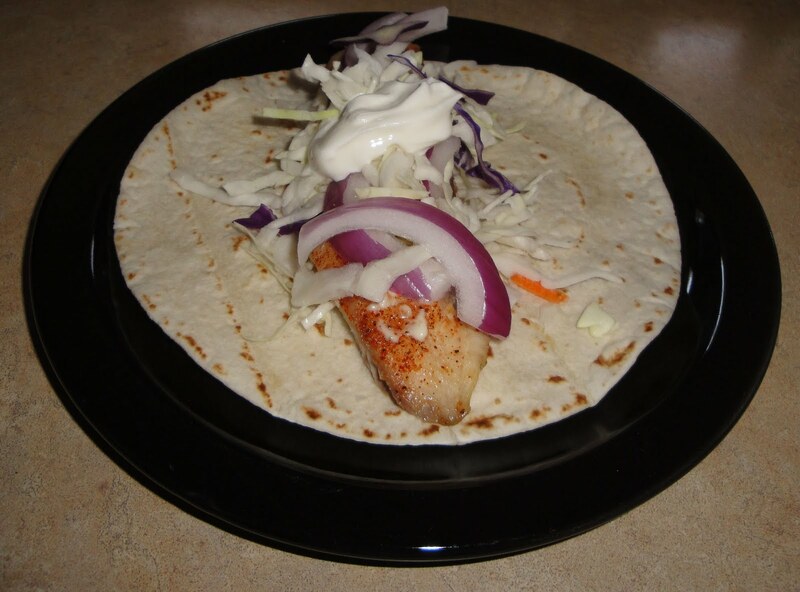 What a cool idea by using fish on your taco.